How many models of car can say they've won a race? Tens of races? Hundreds? How about a thousand races? 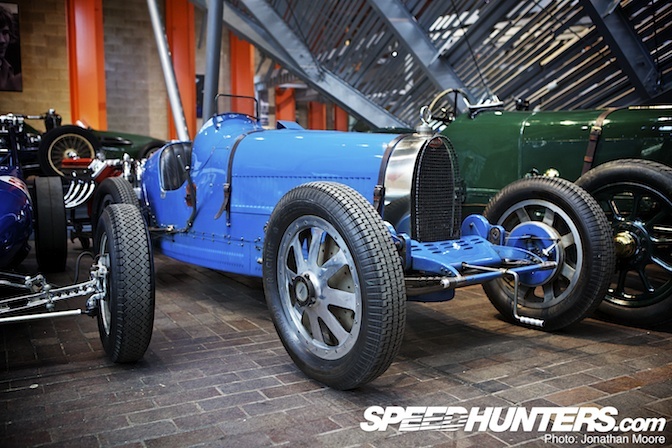 The Bugatti Type 35, built and raced between 1924 and 1931 can count over one thousand race victories. It's easily the most successful racing car of all time. At its height, it's recorded that the Type 35 was winning 14 races every week. 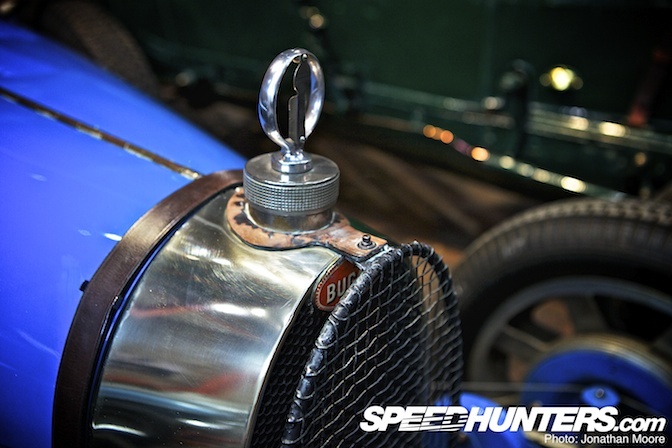 The Type 35 series is the best-known racing Bugatti and was one of the first racing cars offered for sale to the public. £1,100 (around £37,000 today) would buy you one – and with the odds of victory in your favour it wasn't a bad investment. It was also road legal (a very relative term of course) so could not only be driven in the races but also back home as well. Put the wings and lights back on, and your GP winner is turned into a daily driver. 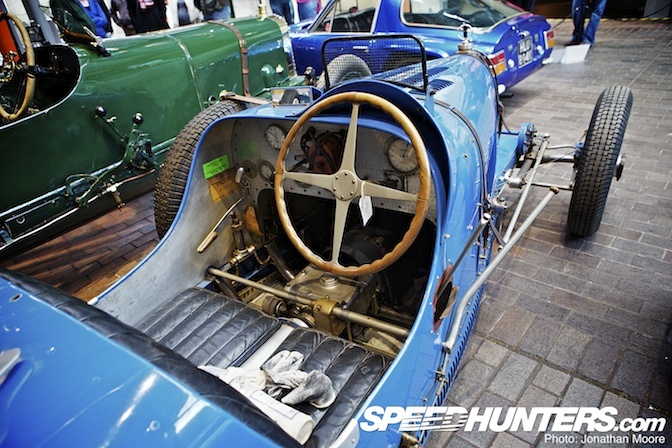 Contemporary rules dictated a two-seater body (something that is continued in modern sportscar racing rules): the simple leather seats provided no support, so the big wooden-rimmed steering wheel was the only thing you could use for balance and leverage. The gear and brake levers were mounted externally on the right-hand side, and the cars typically painted in the powder-blue racing colours of France. 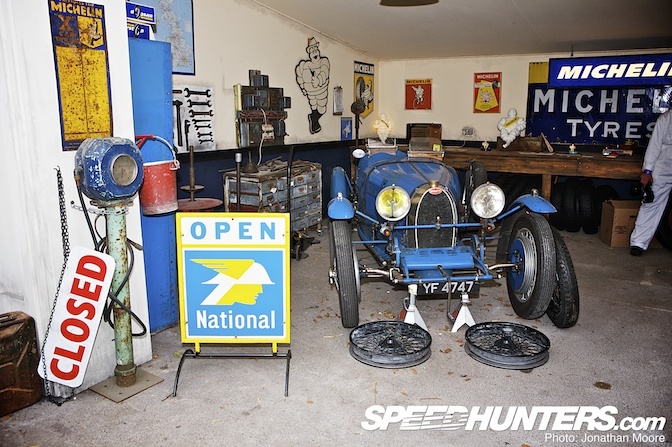 The 1924 Bugatti Type 35 on show at the Beaulieu National Motor Museum had the original four-speed, straight-8, three-valve 1,990cc engine producing 90bhp. In a car that only weight 750kg, this meant 110mph was within easy reach. Solid axles with leaf springs were utilised front and rear, with the front axle actually hollow, made from a forged pipe to reduce weight – a revolutionary innovation for the time. 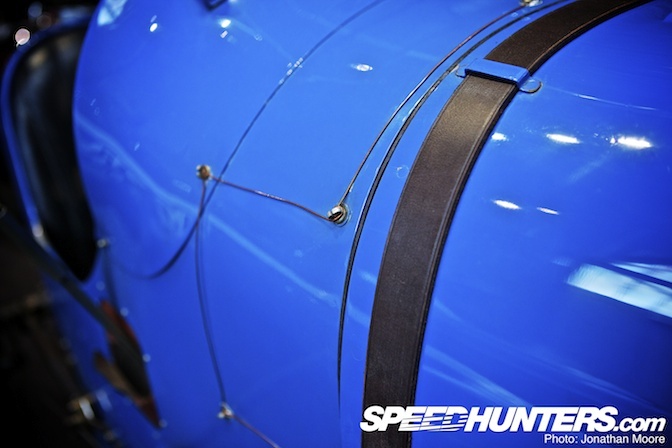 The wire is actually a stiffener that threads its way through al the panels on each side: pull it taught and the body was sealed up against the airflow, cutting down on drag resistance. The raised metal ramp is actually the mount for the rear-view mirror, but allows the wiring to loop round underneath it. With Bugatti, it's all about detail. Put all these things together, and you realise why they won so many races. The eight-spoke wheels were cast from single pieces of alloy, a first in racing, and offered excellent cooling for the cast-iron-lined drum brakes. With a single, central nut, the wheels could be quickly removed to allow quick changing of wheels and brakes, providing a huge racing advantage over the competition of the time. However, legendary Bugatti and Alfa driver Tazio Nuvolari (who won five Grand Prix in Type 35s) is reported to have had the opinion that "Brakes are no good. They only make you go slower". As you can see from this angle, the Type 35 typically ran heavy negative toe-out and camber on the front wheels to help with stability. 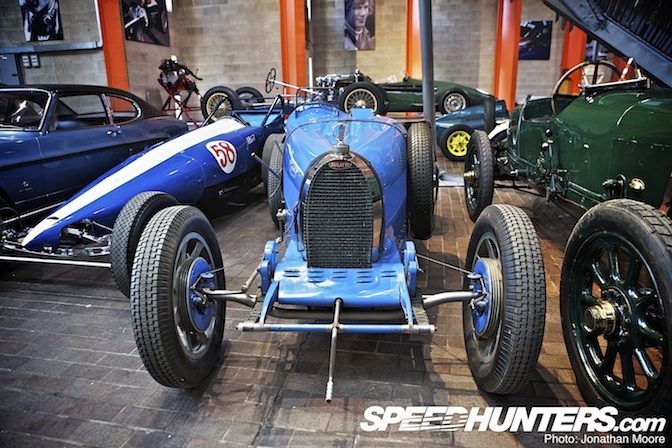 Out of interest, the car to the left of the Bugatti is a 1960 Allard Dragster: Britain's first foray into drag racing. Marque owner Sydney Allard built this car on his return from visiting the USA, and this lightweight, monstrous missile kick-started drag racing in the UK. Its 5.7-litre V8 produced 480bhp and topped out at 170mph. Cut-down versions called Dragons, using a 1.5-litre supercharged Ford engines, were sold to privateers. Well over 300 were built over its eight year lifespan: a cheaper (read: slower) version, the 35A Tecla, was produced in 1925 to satisfy road-going consumer demand; the 35C featured a Roots-style supercharger upping power to 130bhp; the 35T was a special model with an enlarged engine designed to tackle the Targa Florio race; the 35B shared the T's engine but added the supercharger of the C to up the output to a startling 140bhp. It was succeeded by the Type 37 and 39 series, which shared the 35's basic body and chassis. 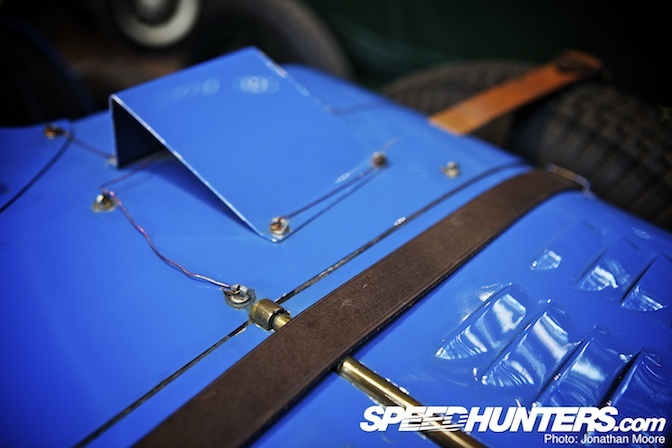 The high demand on the cars, being used both on and off the track, took its toll: few survived in original trim and many were destroyed in accidents or simply scrapped when the big cars of the 30s rendered the Type 35s uncompetitive. Seeing one is now a rare occurrence: outside museums the only other place you can catch one is at an event such as the Goodwood Revival, as seen above. It's always a privilege. 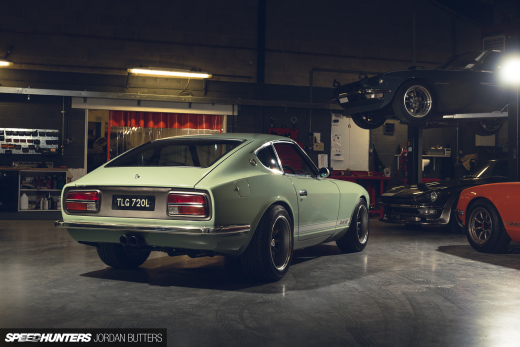 Very nice artcile about one of the best cars ever made! And other competitors?For example Elika Junková,very successful Czechoslovak driver? Glad I read this. great article. Keep them coming. VERY cool!! Check out this vid at 2:35 and then a little later keep your eye open it does a flyby. Well then count me lucky to see two of them here in the Midwest USA. Awesome article. I wish you guys would do more like this. I respected all those who raced with these cars! They were true heroes. More articles like this please!!! 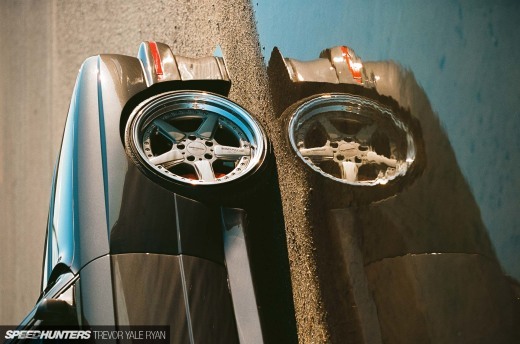 Good article but, negative toe (toe out) is bad for stability and the camber on the Bugatti is positive, not negative. "As you can see from this angle, the Type 35 typically ran heavy negative toe-out and camber on the front wheels to help with stability." 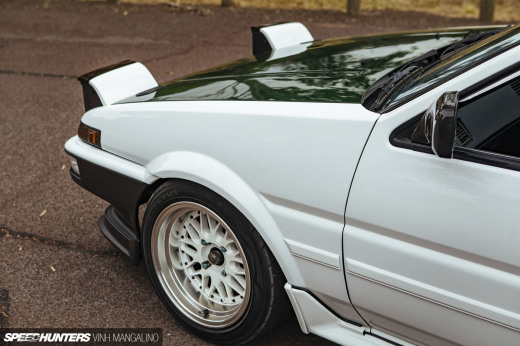 I take that to mean it has toe in and negative camber. Terrible writing, guys. Great car though.